Overall “feel” of my capsule. In my Summer capsule I didn’t choose my pieces with each other in mind and because of that I had a harder time mixing and matching. 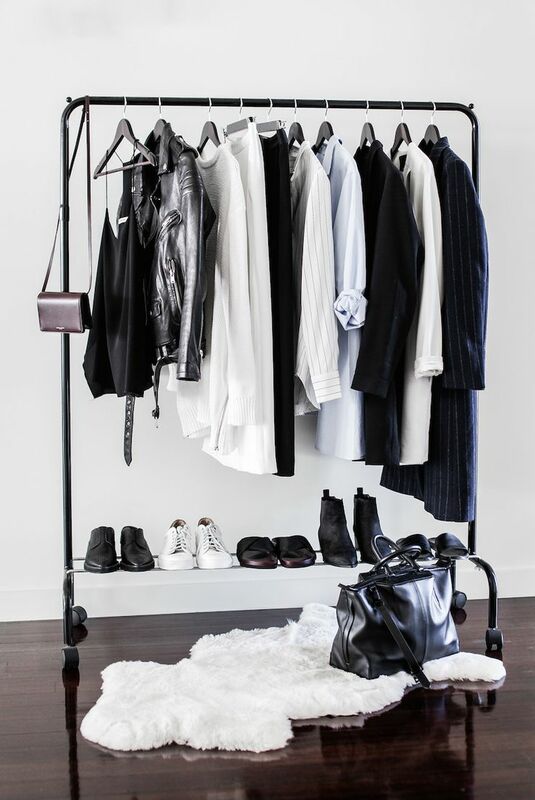 What do I love to wear in Fall? Leather, leggings, plaid, skinny jeans and long tops came to mind so I included lots of those. 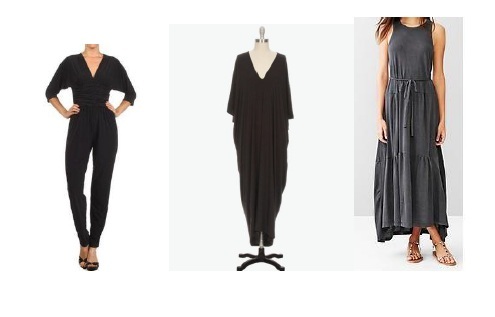 I also included a couple of maxi dresses that I can wear now when it’s still warm and transition with boots and jackets later in the season. Stick to a color palette. In the Summer, I didn’t really have one and again, this made mixing and matching more difficult. 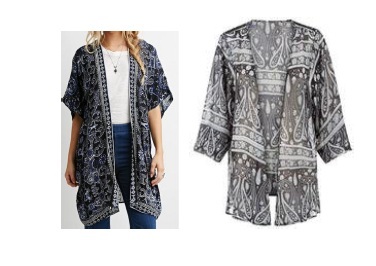 I considered these pieces and could clearly see that my emerging color palette was mostly blue, black, white and grey. I decided for the shopping portion to look for pieces that would work with those colors. 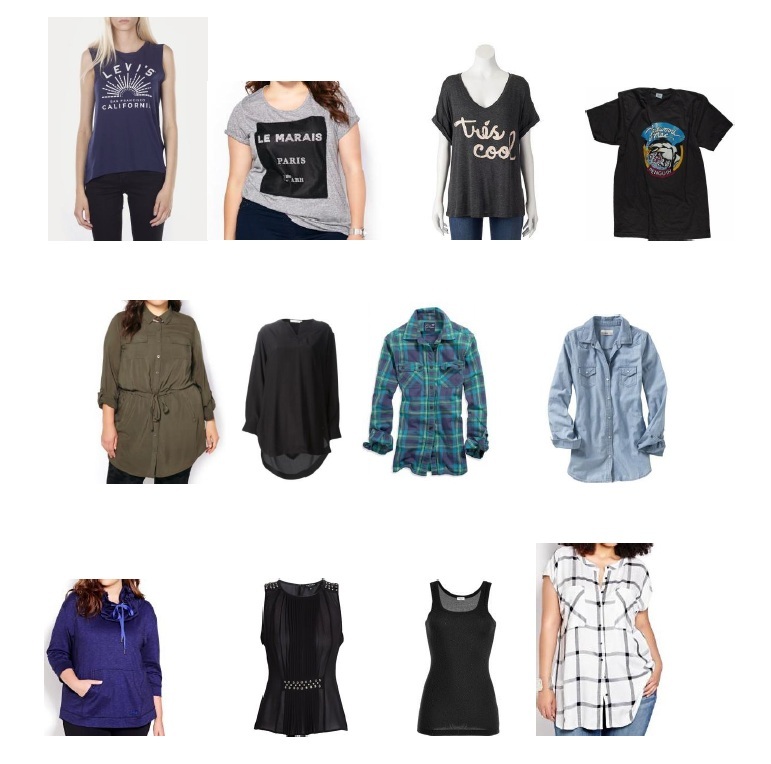 I decided I could use a few new tops and a pair of black skinny jeans. I also left room in my budget for one fun wild card piece, something I didn’t plan for that spoke to me. I gave myself a limit of $300 and I did a TON of planning for the capsule, easily two weeks’ worth of pre shopping and scouting for items I wanted to try on when the time came. We had our Calgary trip planned for mid-August and this was when I did my shopping. I ended up buying mostly only items I had already scouted out and then tried on but I still didn’t find that one special wild card piece. After quite a bit of contemplation I decided I would splurge on a statement necklace from Baublebar, specifically the Courtney Bib in silver. I’ve lusted after it for months and knew I would wear it a ton. Technically jewelry isn’t part of my capsule but I figured putting the money toward an accessory I’d get a lot of use out of was better than settling on another clothing piece I wasn’t stoked about. The cost of these clothing items was $213 total. Here is my finished capsule, 31 pieces to be exact. Keep in mind that many of these items were old so I had to find something similar to give you an idea of what I chose. I debated skipping this part but I love visualizing when I read these types of posts and I decided that close is better than nothing at all in this case. That’s it for now! I can’t wait to put it into action this Fall. Nice selection! 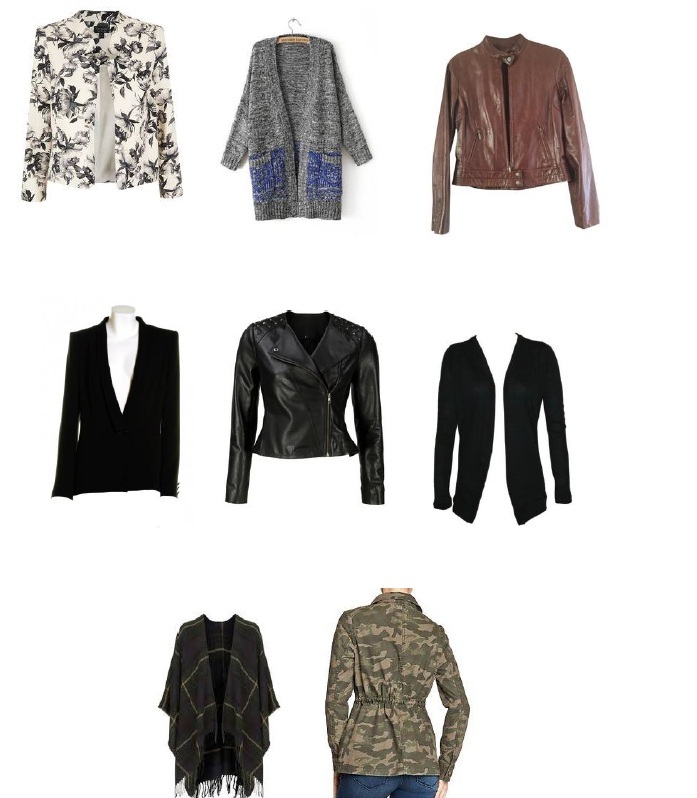 You got a lot of jackets/Blazers, and I’m starting to think I should include more in my capsule wardrobe. I have a lot of sweaters and shirts, and it is difficult for me to pair it down so I’ll do with only 2 jackets ! Thank you! I read somewhere once that in the colder seasons your outerwear is the first thing people see so they should make a statement. I’ve always kept it in mind and I’ve found it to be true. People will often stop me and compliment me if I have a cool jacket on.